You may have been following the news about Harvard’s rediscovery and preservation of Robert Flahery’s Oidhche Sheanchais (A Night of Storytelling). 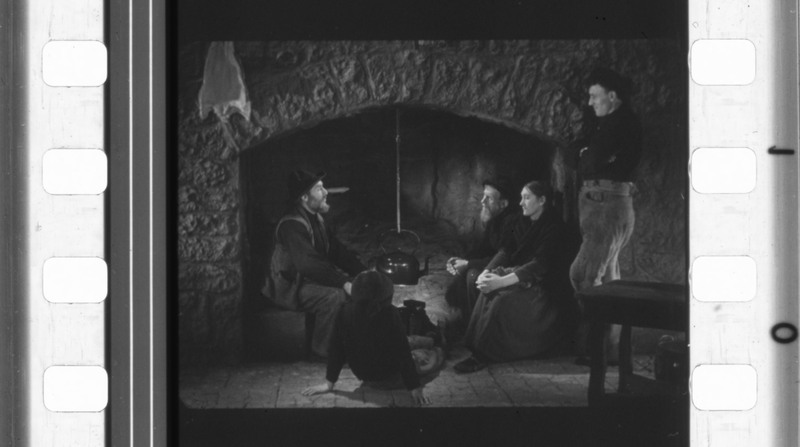 The first film made in the Irish language, this short was produced in 1935 during the filming of Flaherty’s Man of Aran. On February 19, 2015, the Harvard Film Archive had its premiere screening of the film, in a new 35mm print, as part of Folklore and Flaherty: A Symposium on the First Irish-Language Film, with Harvard’s Department of Celtic Languages and Literature. This new preservation effort by the Harvard Film Archive also marks the first time the film has been subtitled in English. The symposium was well attended by the public and the Harvard community, and included short presentations by participants in the film’s research, subtitling, and preservation efforts. Both presenters and attendees brought thoughtful questions and comments about historical context and future plans for the film. A major theme was the folklore tradition in Ireland, specifically the Aran Islands and surrounding areas where Flaherty’s Man of Aran was filmed. The film itself features a traditional song, sung by Maggie Dirrane, and a traditional story, told by Seáinín Tom Ó Dioráin. Symposium participants and those present spoke to their own experiences of Irish folklore, folk music, and storytelling. Each emphasized the importance of preservation for carrying traditions and customs forward through music, storytelling, song, and film. The audience included many Aran Islanders, who spoke joyously of the screening in both personal and cultural terms, bringing their own historical context to the event. Oidhche Sheanchais (A Night of Storytelling) will screen again as part of the HFA series The Lost Worlds of Robert Flaherty. Join us for a screening of three shorts by Flaherty on Sunday, March 1 and with Man of Aran on Monday, March 9. Please check the HFA online calendar for further information on these screenings. You can read more about the rediscovery and preservation of this previously lost gem on our previous blog post and on the Harvard Gazette website. 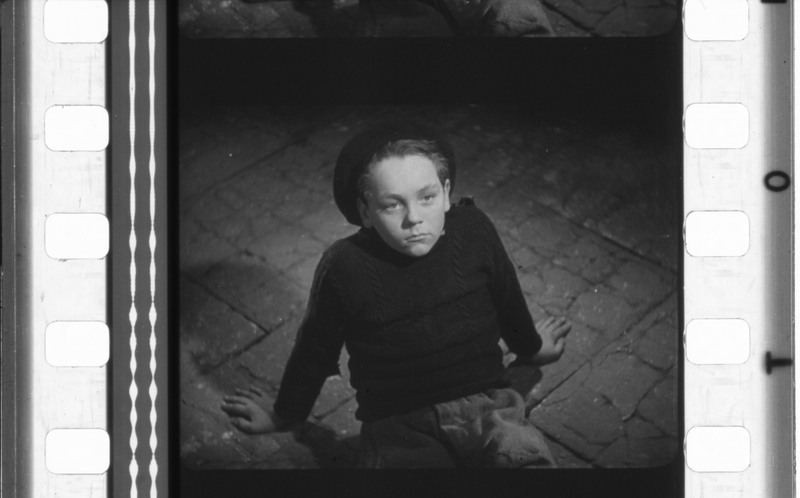 This entry was posted in HFA events, lost film and tagged First Irish language film, HFA screening, lost film, Robert Flaherty on February 24, 2015 by conservator3.